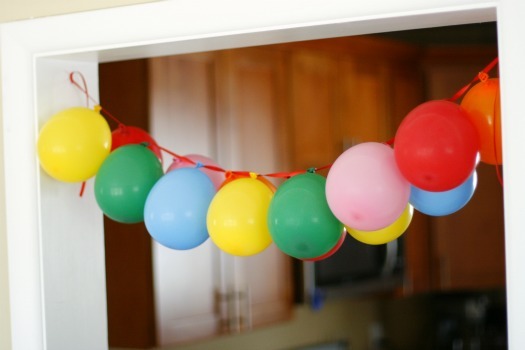 This banner could not be simpler and it looks festive for any birthday party! 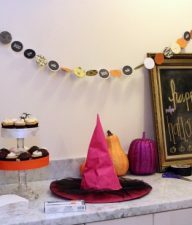 We hung it on our entry way as the party guest came through the kitchen and dining room. 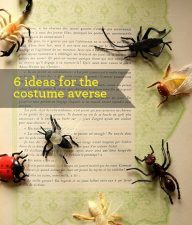 Another fun way to decorate is if you let it hang down in a line. 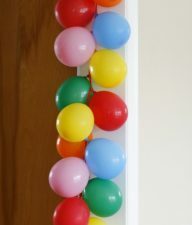 This line of balloons is an easy way to dress up a wall or hallway or even the front of a door. we’ve come up with a fun way to decorate for her birthday. 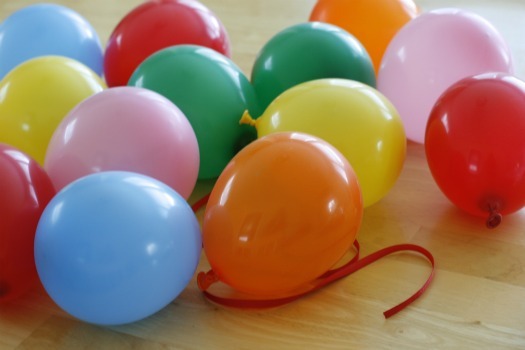 Balloons are the perfect way to celebrate, so we created this fun balloon banner. *The length of ribbon and the number of balloons will depend on where you plan to place your banner. 1. 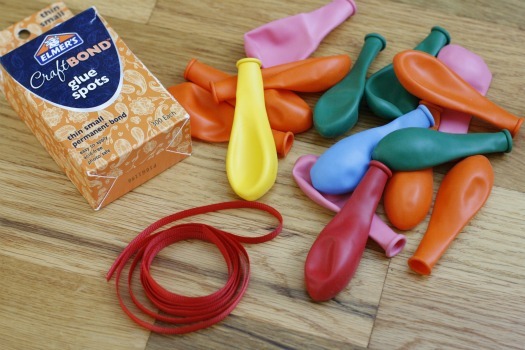 Blow up your balloons. Get the kids to help if they’re able, as it can make you a little winded. 2. 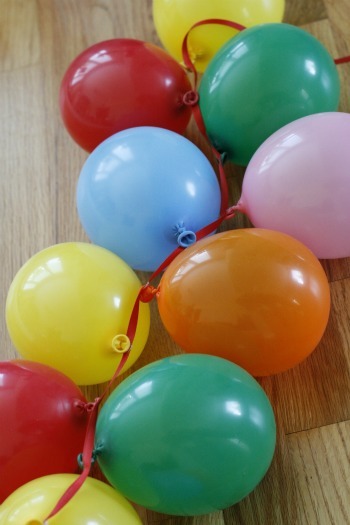 Attach your balloons to your ribbon. I spaced my balloons about 3 inches apart, enough to let them hang nicely. Attach them with either glue dots (which need to be fairly strong to work), or use your stapler for best results. You can also use tape, but it will show, so use tape as a last resort. 3. 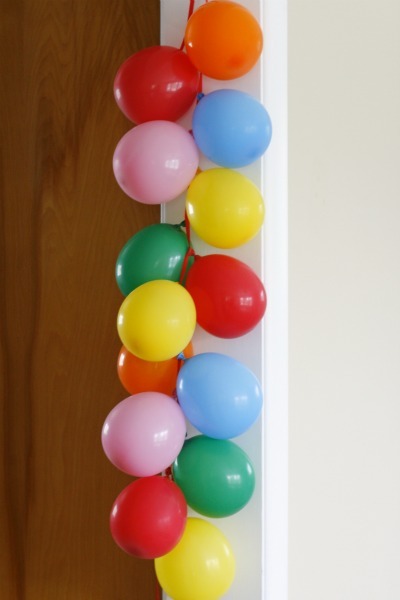 Hang your balloons up on an entryway. 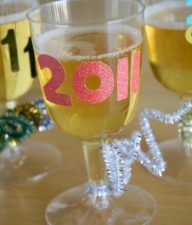 We placed ours in the doorway from the kitchen and dining room, the perfect spot for where the party was. Celebrating a birthday soon? Here are ideas for a MineCraft Birthday Party! Just did this for the Tiny Dark Lord’s birthday and it looked great–thanks! !